Morale Takes A Hit At Beleaguered Fannie, Freddie Mortgage giants Fannie Mae and Freddie Mac have been vilified for their role in the housing collapse. Key employees have left as morale has plummeted. But the two organizations are key to the functioning of the U.S. housing market, leaving some observers concerned about the ongoing brain drain. The collapse of the housing market has led to plenty of finger-pointing in Washington. 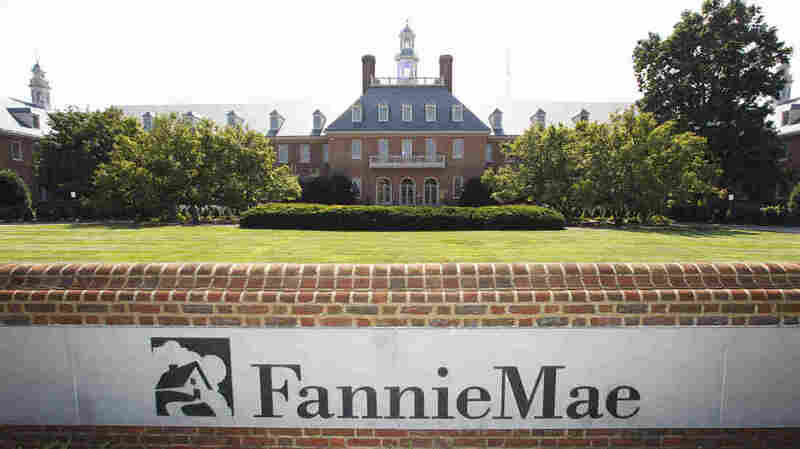 Two easy targets are Fannie Mae and Freddie Mac. These government-backed mortgage giants had to be rescued by taxpayers and now owe the government $188 billion. Still, Fannie and Freddie, which currently make the vast majority of home loans possible, are crucial to supporting the housing market right now. But ever since their government bailout four years ago, both companies have suffered from image problems, they're under the threat of being dismantled by Congress, and many key people are leaving. You know things are bad with the company you work for when you can't even go get a drink without getting an earful about your employer. "That can be pretty draining," says Andrew Wilson, a manager in corporate communications at Fannie Mae. After a long day at work recently, Wilson met up with some friends at happy hour, and was grilled by a friend of his girlfriend. He recalls that she "immediately [started] peppering me with questions and said ... 'You all just want to foreclose on people.' " Wilson said that is absolutely not true. But these days, Fannie and Freddie get blamed for many things. Democrats say Fannie and Freddie aren't doing enough to prevent foreclosures or to let people refinance. Republicans blame them for the housing market's collapse. NPR recently reported on questionable investments at Freddie Mac, and there has been plenty of critical coverage about the bailout. After years of criticism, many employees feel unfairly cast as bad guys. Wilson says a common experience among employees is seeing "eyebrows go up" and receiving "some pretty tough comments" after explaining where you work to someone new. "That wears on you," Wilson says. "There's no doubt about that." While Fannie Mae's public image has been tarnished since the housing collapse, executive Kimberly Johnson says she actually likes "being at the center of the storm." Some employees at Freddie Mac say they've stopped telling people where they work. Instead, they say they work at the "Federal Home Loan Mortgage Corporation," the company's original and seldom-used formal name. That seems to confuse people and avoid unwanted confrontations. Despite some serious missteps, Fannie and Freddie are also doing a lot to stabilize the economy. You can see this work in action on the bustling trading floor at Fannie Mae's headquarters in Washington, D.C. Rows of traders behind banks of computer monitors buy and sell and basically create billions of dollars worth of home mortgages. When Americans apply for a home loan to buy a house or to refinance, they call a bank or a mortgage broker. They never see the people at Fannie Mae — people like Gray MacNair who works on Fannie Mae's trading floor as the director of the Capital Markets Desk. "We buy loans so that the banks have capital to create more loans," she explains. In other words, Fannie and Freddie together act like a big money pump house. They are the invisible force that keeps money flowing and available for home mortgages. 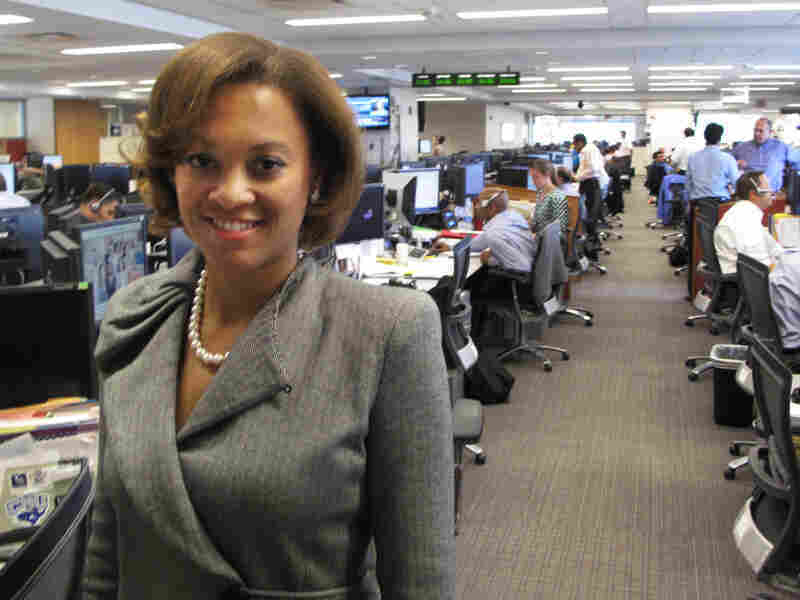 "We're making sure that the cash flows through efficiently to all different aspects of the mortgage market," says Kimberly Johnson, one of the top executives for trading at Fannie Mae. Fannie Mae and Freddie Mac also guarantee mortgages, an especially important role since the financial crisis. Along with the Federal Housing Administration, they guarantee more than 90 percent of all new mortgages. Without them, economists like Eric Belsky, who heads up Harvard University's Joint Center for Housing Studies, say, the housing market crash would have been unthinkably worse. "If you woke up one morning and no one could be able to get a mortgage to buy a home, [and] therefore no one would really be able to sell their homes, and no one could refinance their homes, it would have been really, really disastrous," Belsky explains. When the housing bubble burst, bad investments that Fannie and Freddie had made toward the end of the boom basically blew up on them. And Fannie and Freddie were suddenly in the red for more than $100 billion. Since they are so crucial to housing and the economy, the government bailed them out and put a regulator, known as a conservator, in charge. That regulator is Edward DeMarco, the head of the Federal Housing Finance Agency. This was a huge reversal of fortune. Fannie Mae was created by the government during the Great Depression to help average Americans get home loans on good terms. It grew into a Washington powerhouse — a highly profitable private company, protected by the government, with huge lobbying power. Today, it's essentially a ward of the state. At a congressional hearing last fall, Fannie Mae's outgoing CEO, Michael Williams, got grilled about his compensation. Rep. Darrell Issa, R-Calif., said Fannie and Freddie now function almost like government agencies, but the head of Fannie Mae is getting paid 10 times what the president of the United States gets paid. Issa said, "You made $9.3 million in the last two years while the president made $800,000. You think that's OK?" Issa demanded of Williams. Fannie and Freddie argue that to keep the housing market afloat, they need to attract top people and pay Wall Street salaries. They are, after all, managing trillions of dollars worth of loan guarantees. They also stress that they've paid back $41 billion to the government. Many lawmakers are still sharpening their axes. But Freddie Mac's former CEO, Ed Haldeman, who just stepped down earlier this month, says elected officials who now use phrases like "abolishing Freddie Mac" and "winding down Freddie Mac" were historically supporters of the institution. Haldeman is not the only senior person leaving. Many key employees are jumping ship from Fannie and Freddie. According to Haldeman, a big concern is compensation. In November, the House Financial Services Committee voted 52-4 to put Fannie and Freddie's employees on the government pay scale. Congress has yet to take that kind of action. But the threat of drastic pay cuts has sent a chill through Freddie Mac. Some employees decided to work elsewhere just so they wouldn't have to go through that kind of "anxiety and uncertainty," Haldeman says. As far as why he decided to leave, Haldeman says he didn't expect Fannie and Freddie to be run by the government for so long. He says Treasury Secretary Henry Paulson at the time described conservatorship as a "time out." Haldeman says that sounded like a temporary step. But, he adds, "We are now going to have our four-year anniversary — four years with no plan at all." And he says as a result of that, and all the other negatives associated with working at Freddie Mac, "day by day the company becomes weaker." Haldeman says that's because so many key people are leaving. In a recent SEC filing, Freddie Mac warns about the weaknesses brought about by all the departures. Fannie Mae's Andrew Wilson says that despite all of the negatives, everyone at his company tries to stay focused on doing good work. So far, he says, the company is "still able to attract good people." Kimberly Johnson says she actually likes being "at the center of the storm." A lot of employees at Fannie Mae feel a real sense of purpose in helping to fix the battered mortgage market and thinking about "the next level of housing finance and what we want it to be like in the future," Johnson says. Still, with a lot of talent leaving, the worry is that Fannie and Freddie could make more mistakes, lose more money and bungle their mission: to responsibly foster homeownership by supporting the mortgage market. Jesse Eisinger of ProPublica contributed to this report.